Melbourne Autumn Racing Carnival 2019 - Best Australian Horse Racing Tips - Sydney & Melbourne | Rosehill, Golden Slipper, Royal Randwick Races. Get The Best Expert Racing Tips. 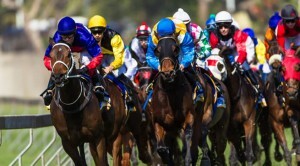 The Melbourne Spring Racing Carnival is undoubtedly the highlight of the Racing calendar in Melbourne but the Melbourne Autumn Racing Carnival tips 2019 is two months of February and March Melbourne Racing Tips of the highest quality and iTipsports will be there with all the action with our Melbourne expert racing tips. iTipsports’ exclusive Melbourne Racing Tips analyst Pete Brinky is one of Australia’s most informed and best judges of Racing form for over 25 years and he will be there with all of the form for a big Melbourne Autumn Racing Carnival tips 2019. Action starts late January with the Group 2 Australia Stakes and runs through the months of February and March and our Melbourne expert racing tips for the Carnival complete the end of March 2019 with the 2000m Easter Cup at Caulfield. In between this we see the Group 1 races 2yo classic Blue Diamond Stakes, Oakleigh Plate and Futurity Stakes at Caulfield racecourse and at Flemington racecourse the Australian Guineas, Australian Cup and 1200m classic sprint Newmarket Handicap. Overall there are 9 Group 1, 10 Group 2 and 10 Group 3 races over what is a brilliant two months of Racing that is the Melbourne Autumn Racing Carnival tips 2019. The Melbourne Autumn Racing Carnival 2019 starts late January but really hits its strides with the meeting on Saturday 10 February with the Group 1 1400m CF Orr Stakes worth $500,00 and a weight-for-age event at Caulfield racecourse. Our Melbourne Racing tips continues at Caulfield then next weekend of February 11 for the Group 1 Lightning Stakes over 1100m and worth $750,000 on Saturday February 17 before we head to Super Saturday 24 February and the second richest 2 year old race in Australia the 1200m Group 1 Blue Diamond Stakes worth $1.5 million, the sprint 1100m Oakleigh Plate worth $500,000 and the 1400m Futurity Stakes also worth $500,000. The Melbourne Autumn Racing Carnival 2019 then moves onto headquarters at Flemington racecourse for the weekend of 3 March and 10 March. The March 3 meeting will see the 3 year classic over 1600m Australian Guineas worth $750,000 and a Group 1 event. Then the weekend of 10 March it is two of the most prestigious races of the Melbourne Racing tips Carnival and both Group 1 events the 2000m middle distance classic Australian Cup worth $1.5 million and 1200m sprint Newmarket Handicap worth $1.25 million. To wind up the three weeks of Flemington meetings on 17 March it is the Group 2 Blamey Stakes over 1600m and worth $250,000. The Carnival then looks to come to a close but not before we head to Moonee Valley form some great night Racing on Friday 16 March for the 2040m Alister Clark Stakes and then on the 23 March for the Group 1 $500,000 William Reid Stakes over 1200m. Our Melbourne expert racing tips for the Melbourne Autumn Racing Carnival with our man Pete Brinky then comes to a close on 31 March for the 2000m Easter Cup but great Melbourne Racing tips continues in the month of April and into the Winter and before you know it Melbourne Spring Racing Carnival 2019 will be with us! Oh and don’t forget the Sydney Autumn Racing Carnival tips 2019 continues with our man Blazing Ben Perkins. iTipsports Racing provides Melbourne Racing Expert Tips to subscribers the day before race day with an email and easy to read form sheet with selections, prices, rating and commentary to make sure you are informed for the days Racing with our Melbourne Autumn Racing Carnival 2019 tips. From here, a number of the better performing horses will head up north to Sydney for the Sydney Autumn Racing Carnival 2019. Get Ready For The Melbourne Autumn Racing Carnival 2019 – With iTipsports Melbourne Racing Tips. Our Melbourne Racing Tips for the Melbourne Autumn Racing Carnival will be ready with all the action with our man in the field Pete Brinky and his Melbourne Expert Racing Tips to make sure you are all ready. The Melbourne Autumn Racing Carnival 2019 looks to be bigger than ever!